I was inspired by the energy of the new year. It’s a feeling that’s so light, refreshing, and renewing. It reminds me of the airy and soft sides of Mother Nature… the Earth and the Sky. As Winter is coming to an end, Pisces season is here to set us up for Spring. It’s easy to get comfortable in the day to day - but this month you’re sure to be sensing a shift. Whatever your sign, embrace this new feeling - it’s a cosmic blessing that’s here for your benefit. Good things come to those who grind. Take some risks work for the reward lover. It’ll be worth it. Pisces, change is in the air this season. Now is the time to rise up and lead your tribe. Transformation can be scary, but you’ve never been one to shy away from a challenge. Use your soothing energy to support the ones you love and keep things positive. Your heart will be calling for adventure this time of year. Ride this high with enthusiasm and you’ll be rewarded with new friendships, experiences, and love. Find balance in the chaos and stay authentic. Read more about Pisces Season here. Pisces is compassionate and intuitive. Those born under this sign are known to be dreamers and healers, empowered by an energy that awakens the imagination to fearlessly create. Their optimistic spirit lifts them above rough waters while their bold confidence inspires their tribe to live wild and free. Water signs go through highs and lows just like the tide of the ocean - making this sign one that’s ultra-sensitive and empathetic. Ruled by Neptune, the planet of fantasy, Pisces can often be off in their old world, vibrating on a level of refined energy that is sure to attract miracles. We know the past month has been mellow, but Pisces energy is here to mix things up. The Universe is calling for transformation. In order to manifest this season’s blessings, you'll have to venture out of your comfort zone lover. Let your ambitious heart fuel you through the changes. Take a chance with a new love or a new friend. Learn a new language or find a new skill to develop. Whatever your energy is attracting, follow the call and ride against the fear. You won’t regret it. What better way to manifest the magic of the new year than with a getaway to paradise? Sagittarius Season has arrived! Whether you’re ruled by this sign, or just feeling the vibrations, these stars call for adventure. The world is pure magic this time of year, which means no dream is too big and every risk is worth taking. So hold on tight and enjoy the ride, lover. It’s going to be a wild one. If you were born under this sign, this year is all about learning to let go. You’ve never been one to back down from a challenge or be fearful of obstacles that stand in your way. Keep this fire within you, but remember that the Universe is on your side. Trust and patience are your biggest allies this year. Be present and take the time to count your blessings. Your intuition has always been your guiding voice, but it's important to stop and smell the roses. Make more time for the little things, and you’ll discover they have just as much meaning as the big adventures you love. Read more about Sagittarius Season here. Sagittarius is adventurous and confident. Those born under this sign are fueled by the thrill of the chase, and sustained by incredible positivity. Ruled by Jupiter, the largest planet in our solar system, Sagittarius lives life boldly, with a free-spirit and optimistic outlook. The flame of this fire sign only grows brighter with each new experience and every dream realized. Their light will never dim - get close and you’ll feel the heat. Sagittarius Season is all about life lessons. The energy of this horoscope will inspire every sign to listen to their intuition and chase their dreams. You might get a few bumps and bruises along the way, but it's important to follow the journey that you’re pulled towards. When things get hard, stick it out and learn from these experiences. Use the bold and confident energy of Sagittarius to grow into yourself lover, this season could change everything. Scorpio Season is upon us…. Every sign is impacted by what’s written in the stars this time of year, but some will feel it stronger than others. The days of this season are all about the mysteries and the intensities that fuel your passion. Spend a little time with your dark side lover, and you’ll be sure to discover what lights you up. If you were born under this sign, this year will be a time of expansion and growth. You are destined to rise and shine... letting go of the past and living in the present. Take the time to do what you want, explore your desires and chase down your dreams. Your vision of life will have a wider perspective, opening your eyes and heart to new opportunities, relationships, and experiences. Read more about Scorpio Season here. Scorpio is passionate and loyal. Their soul shines brightest for authentic emotion and genuine love. 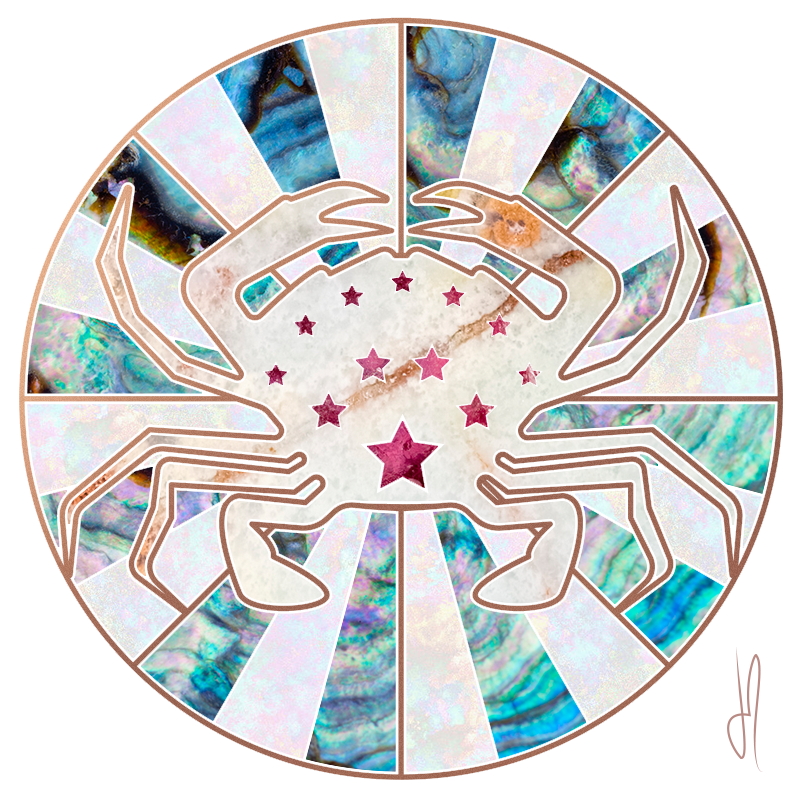 Energized by their deep intuition, those born under this sign are in ultimate control of their own destiny. They're fearless and complex, willing to move mountains for the ones they love and to get where they need to go. Ruled by the water element and Pluto, Scorpio is intuitive and sensitive, while being a powerhouse of control and mystery. Scorpio Season packs a punch - no matter what your sign, you’ll be feeling a shift. This month is all about passion, you’re sure to be craving intimacy. Take a getaway with your lover or spend a night in together. Whatever the backdrop, your sensual energy is high and the connection is undeniable. Give into your desires and live in love this season. Just like the ruling Scorpion symbol, you will be ignited with a fearless energy that can lead to transformation. Embrace this new side of you, because the deep desires of your heart are being revealed. Listen to your truth, and start dancing in the darkness lover. You’ve found your moonlight. The year is coming to an end lover, and what better way to chase in the new than with the balancing energy of Libra? This season is all about enjoying the little things, chasing your dreams, and standing firm with your intuition. As leaves fall, Libras rise. And the sky is the limit baby…now let’s have some fun. Ruled by Mercury, the planet of love and beauty, Libra is known to have an irresistible and strong power of attraction. This sign loves the luxuries of the Earth - art, culture, and all things that can bring pleasure to the everyday. You’ll often catch them toasting with a fine wine, taking in beautiful art, or layering it up in diamonds and gold. This is what dreams are made of baby... Libras know how to live the life. Influenced by its symbol, Libra is all about finding the balance in life. Their role in the tribe is to keep all things fine and fair - whether that means speaking up for the ones they love or standing their ground. The essence of Libra energy is intimate, protective, and loving. Stay close to this sign, because through thick and thin, Libra always has your back. Born under the air element, its no wonder the flow of Libra is unpredictable. Get caught in their whirlwind, and you’re in for a relationship full of new experiences and adventure. Constantly changing, and never quite settled, this sign lives for a wild ride. Better hold on tight. As summer comes to an end, Virgo season is rising. The energy of this sign is filled with love, care, and hardwork - ride this high through the end of the year and you’re sure to manifest magic. Give love to yourself, your tribe and the world. Take time for self-care - getaway for a weekend or hit up the spa and recharge. Prioritize making the moves that will make your dreams come true. Now watch the world come alive for you, lover. Life is good. Virgo has been blessed with the gift to impress. Ruled by Mercury, the planet of communication, this sign is known to have a way with their words. Always curious and quick witted, strike up a conversation with Virgo and you’ll be sure to fall in love with their dynamic dialogue. The Virgin may be innocent, but she packs a solid punch. Ruled by a perfectionist, those born under this sign are bound for success and fueled by a determination that makes them unstoppable. Virgo’s commitment to making their dreams come true is one of their strongest traits. They may not be the leading the tribe, but they’re definitely influencing and inspiring, which carries just as much power. Under the Earth element, Virgo is dependable and focused. Their desire for perfection is paired with a strong spirit meant to manifest the dreams of their heart. Virgo may be known as the responsible and reliable member of the tribe, but don’t be fooled. Their feet may be planted firmly on the ground, but this sign has an overpowering energy to try new things. If you’re looking for fun or to get in a little trouble, Virgo is always down to come along for the ride. Daughters of destiny, it is officially Leo season. The free-spirit and fierce power of this sign will be sure to give you a constant craving for new adventures to conquer. Hit up your tribe and get into some trouble, lover. With a fiery ambition, this sign is destined to make their dreams come true. This strong determination comes with a little ego, but what can you expect by a sign ruled by the Center of the Universe? Don’t let this turn you off lover...Being ruled by a giant star gives Leo all of the power needed to light up your life. Ruled by the lion, Leo is protective and passionate. With a fierce heart and a fearless spirit, those born under this sign are protective of their loved ones and destined to lead their tribe. Whether she’s dancing in the moonlight or skinny dipping in the ocean, this sign just can’t be tamed. The golden glow of Leo energy shines like the diamonds adorning her – bright and forever. As a fire sign, Leo is always searching for an adventure that will light them up. They’re fearless trailblazers out to manifest the magic of the Universe. The flame burning within this sign glows brighter with every new experience. If your tribe is led by a Leo, you’re in for a good time. This flame is known to inspire those around them, and it spreads like wildfire. Promotes spiritual growth and cleanses the soul. Increases happiness and optimism and boosts enthusiasm. Develops spiritual power and psychic awareness. Emits selfless love and compassion. Summer is here lover, and you know we’re all about the barefoot and breezy lifestyle. For this JA Getaway, we’re making our way to the seaside for a little rosé by the bay. When the heat calls for minimal clothing, you’ll catch us cooling off with the diamond drips on our summer skin. Rally up the tribe and adorn yourself accordingly lover, we’re headed to The Hamptons! Heals and balances emotions, making the holder emotionally aware. Connects you to the divine feminine and inner goddess. Keeps the creative juices flowing. Attracts prosperity and nourishes the soul. Cancer will hold on tight and never let you go.